Published on December 30, 2018 in Creativity, Fun Stuff, Motivation, Personal Development, Positive Thinking, Time Management and Vision and Planning. 0 Comments Tags: New Year's Resolutions, Resolutions. Most people want more from their life than they are currently getting. The above metaphor of being in a hole is a great metaphor for NOT writing out New Year’s Resolutions and then not achieving “much”. I have a program called My Best Year Ever that helps you to avoid digging the hole in the first place. 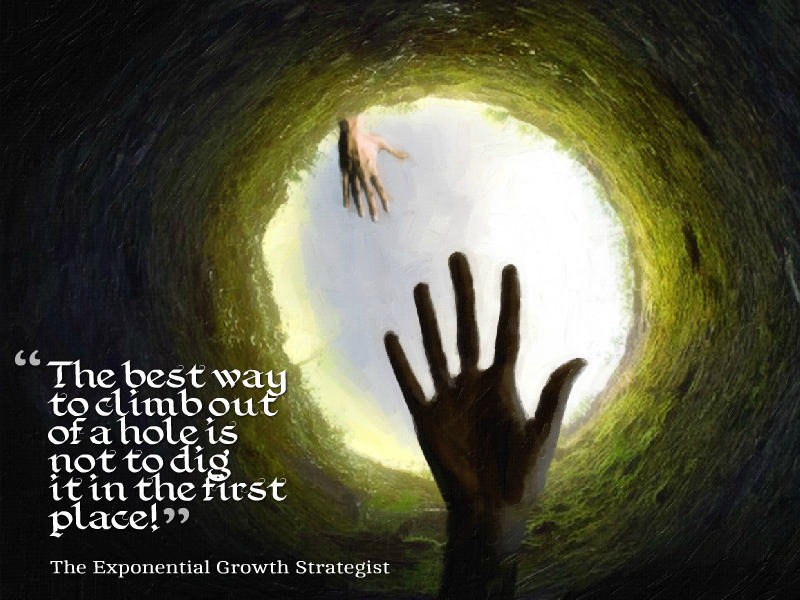 The proverbial hole is NOT having a goal or outcome in mind – especially as the NEW YEAR begins. I have to admit my bias – I have been “doing” New Year’s Resolutions for the past 20 years and my results speak for themselves. Published on August 19, 2018 in Creativity, Fun Stuff, Personal Development, Positive Thinking and YouTube Videos. 0 Comments Tags: Clear The Mechanism, For Love Of The Game, Great Baseball Movie. We often get distracted when trying to focus on a task. The video below from the movie “For Love Of The Game” starring Kevin Costner is a brilliant Personal Productivity Technique to instantly achieve Concentration Of Focus. Published on August 7, 2018 in Creativity, Fun Stuff, Motivation, Personal Development, Positive Thinking and YouTube Videos. 0 Comments Tags: Gary Vaynerchuck, Millennials, Procrastination, Snowflakes. This is definitely an in-your-face conversation for all the ‘non-winner snowflakes’ out there! Published on February 5, 2016 in Fun Stuff, Motivation and Positive Thinking. 2 Comments Tags: Grime Fighters, Superhero Window Washers. Today’s post will make you smile and warm your heart with appreciation for the good people who “go above and beyond” to create value for their clients. Click here to read a MARVELous story about Grime Fighters, sent to me by Andrew Powell of Montreal, Canada.